20160102 - Up in the am and L&I did our 'Saturday Special' exercise video and drank the Indian Ocean. L took J to Donovan's and then went on to visit her GGmaK in Delaware. 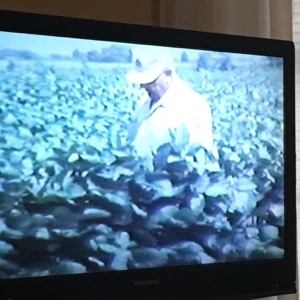 While she was there she successfully purchased, hooked up a DVD player, and they watched old videos of her GGpa walking in bean fields and other historic events :-o I hunkered down at the desk determined to get the Scout site organized and done. Soon one of the Scout Leaders called as the pages he was working on were disappearing well not really, I was organizing the ;-) D called and Grant got up at 11:47, couple short nights for the boy has him off schedule... I ran to pick up D, we got some food and then home to meet Jason from Scouts to work on the site. I explained my OCD induced site organization, he got it, agreed it made sense so we started populating the pages with notes on the content we wanted to put in them. We got to a stopping point and L was headed home and D drove us to Red Robin to stand in line for 45 min, NOT! We went across the sidewalk to Logan's and had a great meal. Home and watched some exciting football and the movie Kingpin to finish off the night.